If your idea of a fun time is occasionally heading far away from painted lines, pedestrians and traffic lights, Honda has a suggestion for you. Instead of dropping major coin on a chunky off-roader that rides like a covered wagon, check out the all-new 2019 Passport that’s coming on stream this spring. It’s a model that the automaker claims is as comfortable tackling pavementless terra firma as it is cruising down the freeway. Stretch your memory back a few decades and you might recall the Passport as a near copy of the Isuzu Rodeo utility vehicle that Honda sold from 1993 until 2002. This time around, the Honda Pilot serves as the Passport’s template. For the conversion, Honda shrunk the overall length by a bit more than 15 centimetres. All of the reduction is aft of the rear wheels so there’s not enough space to accommodate a third-row seat, which the Pilot has. 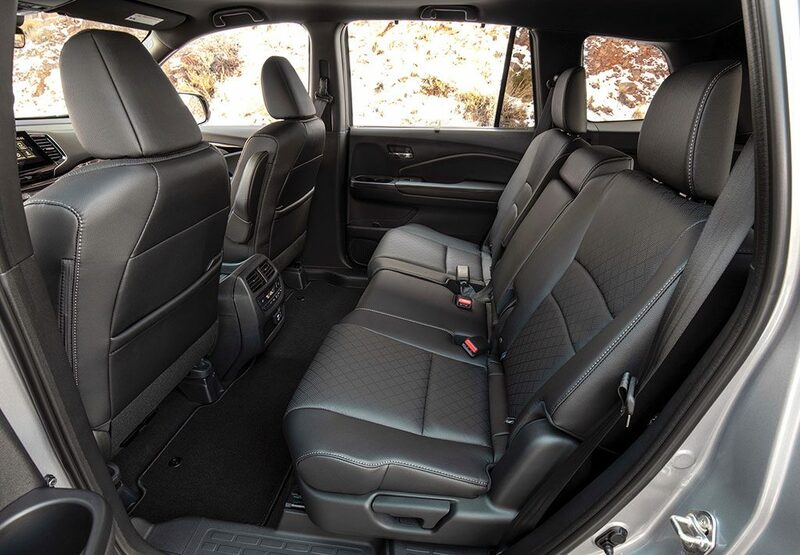 Unchanged, however, is the distance between the front and rear wheels, which means that those seated in the second row still have the same amount of legroom. The Passport is more than just a junior Pilot, however. 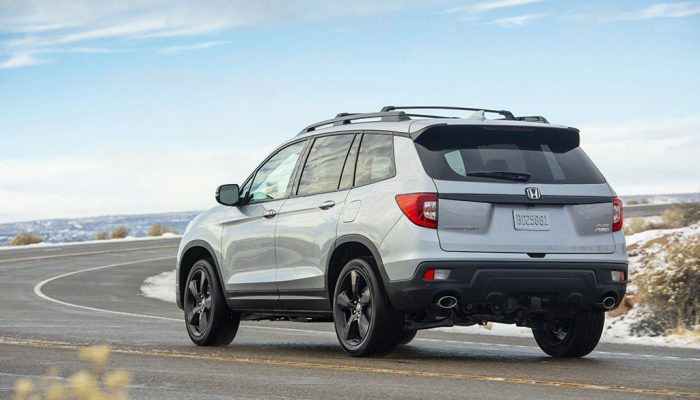 Honda uses the term “dual adventure” to describe the new model’s ability to travel on and off the road. To prove the point, the product planners mapped a media-drive test route that extended well into the rugged red-rock wilderness of Arches National Park near Moab, Utah. There, the extra two centimetres of ground clearance (compared with the Pilot) and standard 20-inch rubber increased off-road capability, as did retuned shocks, quicker-ratio steering gear and reduced brake-pedal travel. 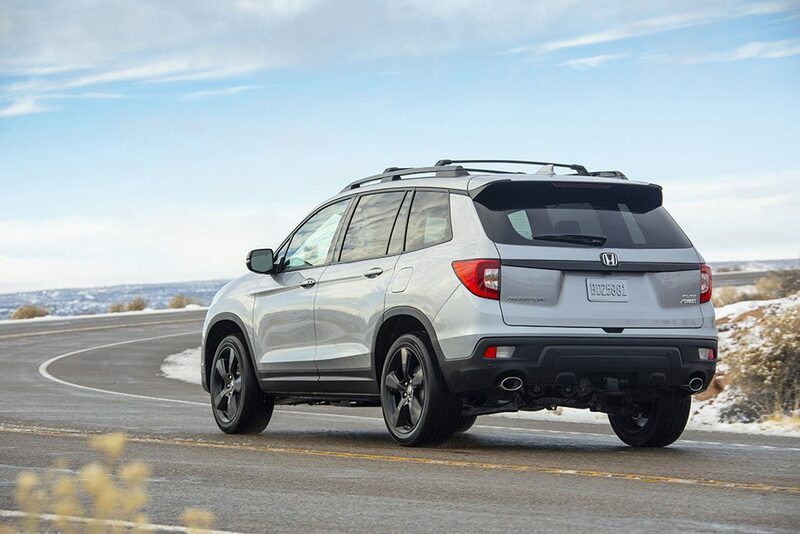 The Passport wears an aggressive front clip that sets it apart from the Pilot’s mostly conservative shape. A steeper rear-window angle also adds a bit more sportiness to the design. The cabin, with its straightforward dashboard, control panel and touchscreen, is identical to the Pilot in virtually every respect. Some might decry the lack of an actual transmission shifter, but the replacement buttons are super-easy to use, they help de-clutter the floor console and improve access to the deep-dish storage bin. 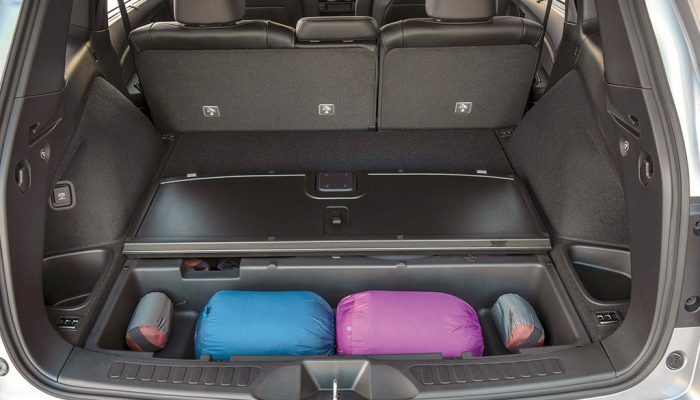 In back, a sizable amount of space beneath the load floor (adjacent to the spare tire) is perfect for hiding all manner of valuables and is also a perfect spot for wet or soiled clothing and footwear. Being Pilot-based, the Passport uses the same 3.5-litre V-6 that makes 280 horsepower and 262 pound-feet of torque. Working through a nine-speed automatic transmission, the Passport is rated at 12.5 l/100 km in the city, 9.8 on the highway and 11.3 combined. The standard all-wheel-drive system can send up to 70 per cent of the torque to the rear wheels and 100 per cent to the outside rear wheel while turning, which helps rotate the vehicle (known as torque vectoring). The AWD’s traction-management system has driver-selectable Normal, Snow, Mud and Sand settings. Each can vary the throttle, transmission and torque distribution, depending on surface conditions, to maximize grip. For all but extreme conditions, the default Normal setting should keep you from getting stuck. Like the Pilot, the Passport is capable of towing up to 5,000 pounds (2,270 kilograms), which is as good as or better than most competitors. Pricing in Canada starts at $43,800 for the base Sport (including destination charges). That fee includes tri-zone climate control, power driver’s seat with power lumbar support, and a full list of dynamic safety technology to help prevent collisions. Emergency braking and lane-departure warning are standard. The remaining EX-L and Touring levels notch up the content significantly, putting the Passport firmly in luxury territory. Unquestionably, Honda has succeeded in putting plenty of “sport” in the Passport. If your recreational activities extend to travelling deep into the hinterland, tackling rock-strewn pathways or kicking up desert sand, this one has your back. Market position: The Passport slots between the smaller CR-V and the larger Pilot in Honda’s utility lineup. It’s positioned as a more adventurous model with specific rough-trail hardware to back that up. 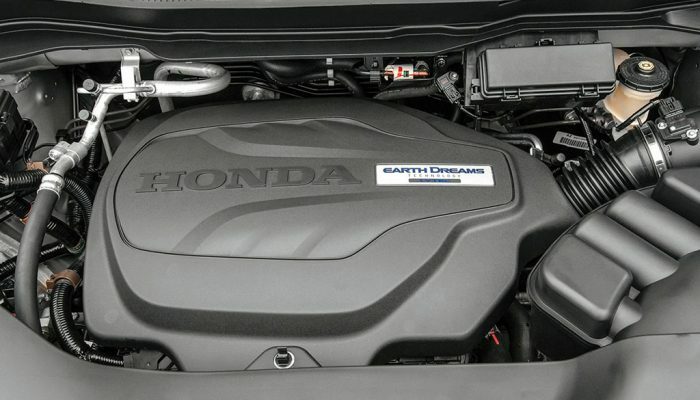 Points: Shorter-Honda-Pilot-based model gives off a rugged vibe. • Suspension, steering and all-wheel-drive systems specifically designed to handle off-road conditions. • Nine-speed automatic transmission means the smooth V-6 is always in its power band. • Long list of standard content includes most active-safety technologies. L/100 km (city/hwy) 12.5/9.8; Base price (incl. destination) $43,800. 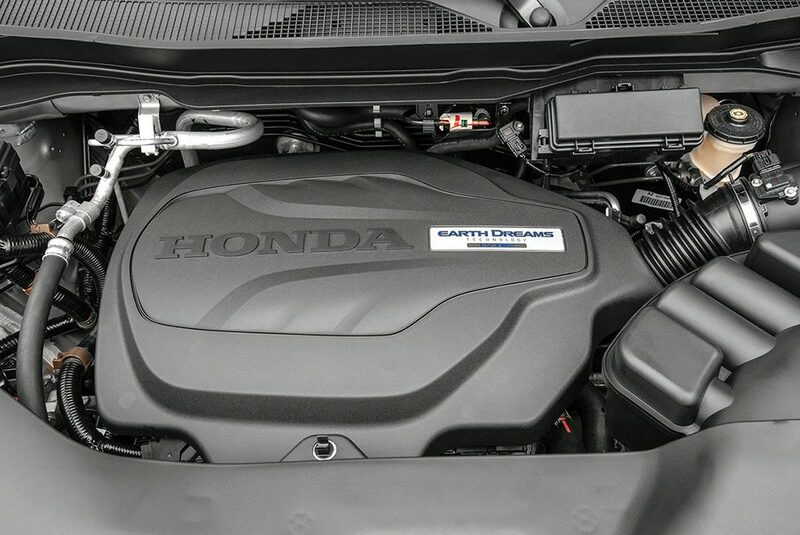 All-new 2019 edition revives a nameplate that was last seen back in 2005. Old-school body-on-frame utility vehicle specializes in off-road excursions.